Contemporary Bollywood films seem to travel through borders and generations with an uncanny ease. Writings on the journey, however, are not as effortless. Early in this slim book, author Rajinder Dudrah, a senior lecturer at the University of Manchester, quotes cultural anthropologist James Clifford: “How do different populations, classes and genders travel? What kinds of knowledge, stories and theories do they produce?” In his book, Dudrah applies these questions to Hindi cinema, using a broad definition of ‘travel’ to examine how contemporary Bollywood movies cross physical and cultural borders and form new relationships with the Indian diaspora while moving constantly between tradition and modernity and commenting on the ever-changing lives of Indians at home and abroad. This is an intriguing discourse: if it is true that cinema ‘travels’ with its audience and with the people it represents, popular Hindi films have undoubtedly logged a high number of frequent-flier miles. However, these ideas are presented in the book in muddled and fragmented tones, with solemn scholarly writing sharing space with flippant asides. As a result, the seven chapters read like separate essays casually stitched together. It then comes as no surprise when the book ends abruptly with a quick discussion on three recent films – Delhi Belly, Singham and Zindagi na Milegi Dobara – released just in time for the author to accommodate his thoughts in a few pages. 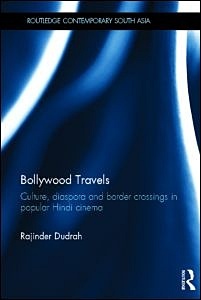 In one chapter, Dudrah comments on the use of the India-Pakistan border in films such as Main Hoon Na and Veer-Zaara, both released in 2004. 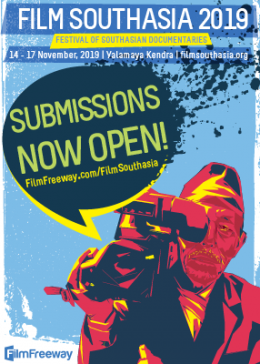 These movies, he writes, “invoke border crossing as a possibility and aesthetic pleasure that transcends easy and conservative constructions of Indians and Pakistanis in problematic binary terms.” How is this achieved? Dudrah points out that Main Hoon Na offers a spin on the epic Ramayana by recasting the villain Ravana as an Indian named Raghavan who stands for an internal (rather than a foreign) threat to India’s security. Further, he says, the film visually emphasises the similarities between underprivileged people on both sides of the border. Meanwhile, Veer Zaara cleverly blends elements in Indian and Pakistani music to tell the story of a love which eventually transcends the notion of borders. “The border, and the pleasure and problem of how to overcome and cross it effectively, construct an intended relationship of affect with the viewer,” Dudrah writes. In another chapter, Dudrah looks at the Shaad Ali-directed film Jhoom Barabar Jhoom (2007), analysing its presentation of the non-resident Indians living in England and the references the film makes to Hindi cinema of an earlier time – for example, in a scene where a character named Laila is introduced, a version of the rambunctious 1980s song ‘Laila O Laila’ is played in the background. And the 2008 film Dostana about two men who pretend to be gay lovers (played by John Abraham and Abhishek Bachchan), is discussed in terms of the subversion of heterosexual romance in traditional Hindi movies. 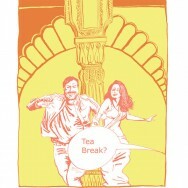 In a more abstruse – if sporadically engaging – section, Dudrah examines Bollywood films ‘as skins through which the bodies of audiences touch, feel and rub up’ by focussing on three places in Manchester, UK: the Curry Mile section of the Wilmslow Road, the Odeon Cinema, and Club Zindagi in the city’s gay quarter. “These are three related and disjunctive sites at which Bollywood cinema and Bollywood popular culture are consumed [–] nodes on the global circuits of the travels of Bollywood and South Asian popular cultures,” Dudrah writes. Finally, he turns to the star-studded Unforgettable Tour of 2008 to examine how contemporary Bollywood stars interact with their global audience and ‘perform’ versions of themselves at the intersection of tradition and modernity – so that a performance by the Bachchans as a cosy, traditional family where the young bride Aishwarya Rai Bachchan bends down to touch her mother-in-law’s feet on stage might immediately be followed by her father-in-law Amitabh Bachchan, her husband and herself dancing as a club-dancer and her suitors to the raunchy song ‘Kajara re‘. The famous American critic Pauline Kael often warned against the dangers of film criticism falling into the hands of university circles, for that might result in laboured over-analysis. This view is, of course, open to discussion: anyone who believes that good films (whether popular or alternative) deserve serious, engaged analysis might disagree with it. Nonetheless, it is always important to consider the quality of the analytical writing; after all, Kael herself wrote numerous long, passionate reviews full of detailed observations that could only have come from her and no one else. In this reviewer’s opinion, popular film studies are inherently a good thing: we need more intelligent, engaged literature on commercially successful films and the ways they offer us to look at the world. On the other hand, such writing – rare as it already is – should attempt to be accessible to the reader who has not been nurtured on the hermetically sealed language of academia. The trouble with Bollywood Travels, however, isn’t just that the writing is consistently over-academic – it isn’t. In fact, there are passages where it is self-consciously informal, almost as if making a hip effort to eschew the dialect of the classroom – perhaps suggesting that behind the garb of the lecturer is a fan-boy who is interested in movies and celebrities at a more elementary level. For example, Dudrah refers to a director’s thoughts in a DVD audio commentary. He transcribes some of the dim-witted comments that typically appear under YouTube videos (for example, “srk [Shahrukh Khan] is a kid, Amit G [Amitabh Bachchan] is his baap [father]”) to convey a sense of a Bollywood fan’s relationship with his favourite stars. He elaborately (and long-windedly) quotes tweets by Bollywood stars such as the Bachchans to understand how stars ‘are using this medium to extend their onscreen personas, to perform themselves in a virtual public setting’. And in a charming little aside, he even mentions asking Salman Khan (on Twitter) why the actor disliked the term ‘Bollywood’, without a response. The bigger problem with the book is that much of the prose – both in the complicated passages and in the simpler ones – is awkward. Thus sentences such as “John Abraham is known for keeping fit and working out regular (sic) and his buff body is put to good titillating use, often revealed at almost every opportunity with only shorts on throughout the film” and “Jhoom Barabar Jhoom […] is a knowing film: knowing that Bollywood is being noticed by the international entertainment industries and knowing too that a little creative licence would not go amiss in the execution of this popular text.” There are many other instances of such clumsy writing. Writer Manny Farber once distinguished between ‘elephant art’ (bloated, self-conscious, trying too hard to make a point) and ‘termite art’ (less ambitious, more concerned with the small picture, but eventually revealing and provocative). 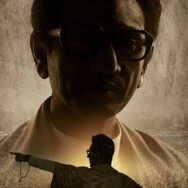 In that vein, Bollywood Travels is less effective when Dudrah makes bombastic proclamations and is more engrossing, pleasing and insightful when he analyses specific sequences in individual films. Particularly notable is his analysis of how Dostana – while being on the surface a very mainstream, mass-audience-pleasing film – manages to address cultural conflicts. “The mother, who is almost always the dharmik (spiritual) or moral universe in commercial Hindi cinema, albeit often tied to patriarchy and heterosexuality, is challenged to consider alternate frames of being and happiness,” Dudrah writes. His sub-textual analysis of the film’s ending is interesting in that a mainstream film, while ending with a restoration of traditional ‘values’, can covertly reach for something more radical. Similar proposals have been made by French critics in some of the most influential popular-film studies dating back to the 1950s. Bollywood Travels suffers from a gap between its contents and form, with parts of it tediously overwritten. In describing a particular sequence (complete with references to camera movement, editing and use of soundtrack), Dudrah frequently uses three-too-many sentences. A good example is the description of the song sequence ‘Shut up and Bounce’ in Dostana. Ultimately, though, this book is a frustrating read for the engaged movie lover. One senses that the author cares about the films he is discussing, that he has a sharp eye for detail, knows how to read movies and occasionally has noteworthy things to say – but is also confounded by an inability to express himself directly and concisely. ~ Jai Arjun is a Delhi-based writer and critic. He has written a book about the cult 1983 film Jaane bhi do Yaaro [Let it go, friends] and edited an anthology of essays about cinema, The Popcorn Essayists: What Movies do to Writers.